Here is an inspired text for Advent ‘meditation’ from Fulke Greville, who became the Earl of Warwick, and lived from 1554 to 1628. 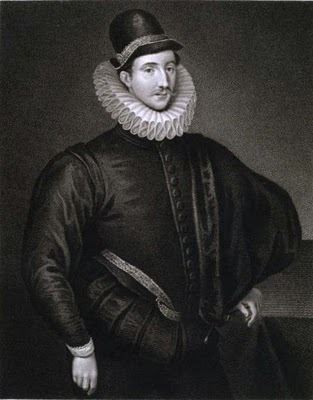 He regarded the chief point in his life as having been the bosom friend of Sir Philip Sidney. Almost no one knew about Greville’s poems, some of the them distinctly ‘Calvinist’, until after he died. I am a great admirer of them. Only recently did I find out that James Gould Cozzens was also a fan. Oh, wearisome condition of humanity! What meaneth nature by these divers laws? I do not think Greville's work has been the subject of many embroidery efforts. Tough stuff, beautiful stuff. Thank you Mr. "Mockingbird." It's a treat to find so much poetry on this blog.